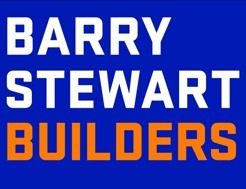 Barry Stewart Builders are Master Builders & Licensed Building Practitioners based in Invercargill. We provide a quality service, whether it be a new project build, home improvement project or renovation work. We work within your budget, offer advice and each project is custom designed, ultimately a reflection of each customer's vision for their home. Call our experienced team today to discuss your building needs! We pride ourselves on offering quality workmanship and hassle-free renovations. We strive to provide the best results in all building projects & offer prompt and reliable service with excellent communication.